Need to send freight but not sure how to work out the volumetric weight? Here’s a calculator to make it easy, as well as the formula and all the information about calculating freight weights & sizes that you need to arrange freight or courier deliveries. Measurements are to always be made in metres. For example, if your freight item measures 120cm x 55cm x 34cm, then it should be entered into the calculator as 1.2 x 0.55 x 0.34. 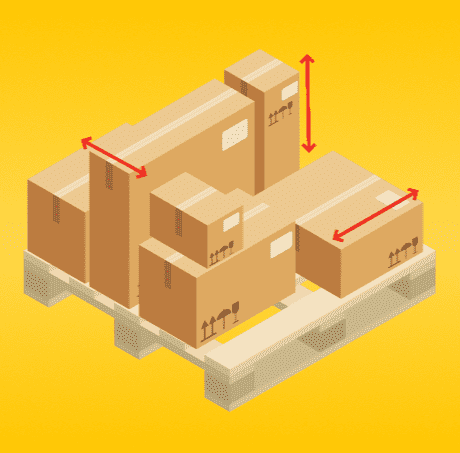 If your freight or parcel is odd shaped, it’s important that the width measurement is made 90 degrees to the length measurement (i.e. forming a cross). NOTE: The freight dimensions must be measured in metres, not millimetres or centimetres. 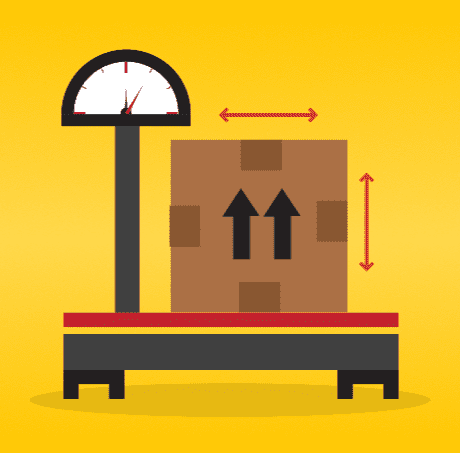 Cubic conversion is used by couriers and freight companies to achieve an actual weight that is comparable to the cubic dimensions of the freight. 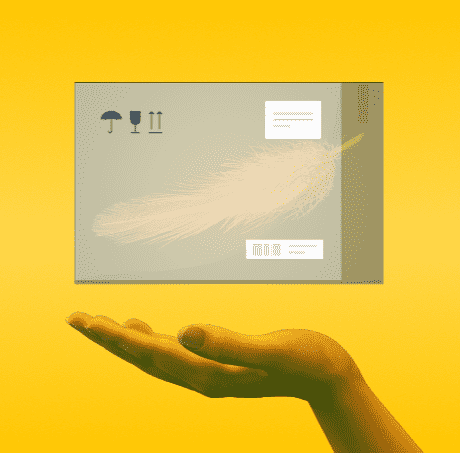 For example, let’s say you want to send a cubic metre of feathers across the country. Its actual weight might only be 1 kg but it takes up a lot of space on the truck. 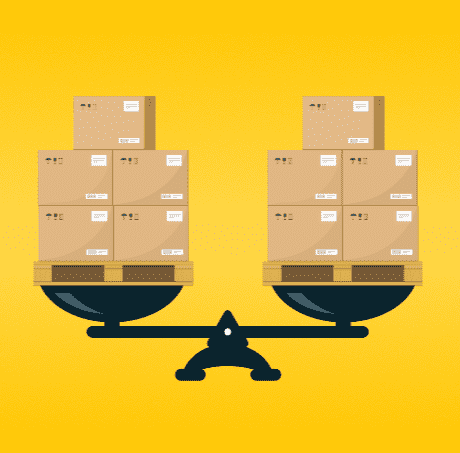 This limits how much other freight can be loaded with it, and if the freight company only charged by actual weight, they would most likely lose money. So a comparable conversion factor is used to ensure that the cubic metre of feathers is charged an appropriate amount for the space it takes up on the truck. Most freight companies use a cubic conversion factor of 250 or 333. Freight and courier drivers rely on knowing the sizes and weights of their cargo to be able to plan and carry out deliveries as safely and efficiently as possible. In addition, giving the correct size and weight information helps us provide you with an accurate quote, delivery time, and allows us to allocate an appropriate vehicle for transportation. The actual weight of an item – also sometimes referred to as gross weight or deadweight – is probably the easiest thing about the item to measure. Weight should always be measured in Kg’s. Measurement can be made with any suitable scale. For the most accurate weight measurement, use scales that are calibrated regularly. The scales at Aussiefast are calibrated every 3 months. For more information on Aussiefast’s range of delivery services, please see our linehaul freight and courier pages. If you have any questions at all about calculating freight weight, please call us on 131 770 and we’ll respond to you.